This new larger Toxic Waste drum sports a coin slot for loose change, and is a fun collectible for kids and adults alike. Each Bank overflows with an assortment of candy in yummy sour flavors: Blue Raspberry, Black Cherry, Green Apple, Lemon and Watermelon. 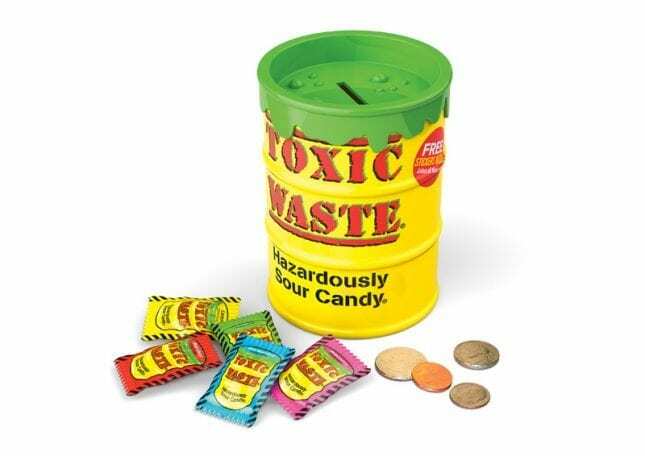 Now you can collect stickers, enjoy your Hazardously Sour Candy and save your money, all with the new Toxic Waste Bank!